In an effort to make fitness easily accessible to all guests, the Recreation and Wellness Center is well-populated with various cardio areas. 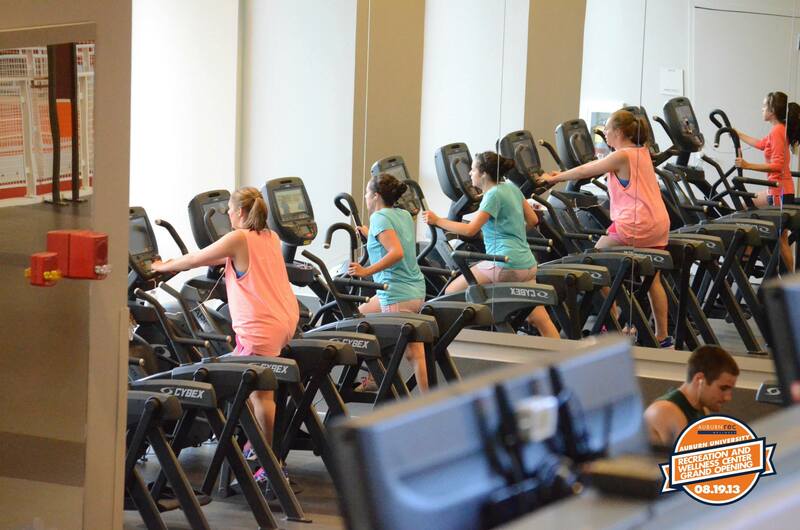 Cardio lofts are equipped with treadmills, elliptical machines, stationary bicycles and other machines to assist members in obtaining their overall fitness goals. No recreation center is complete without a little hardwood, and Auburn's is no exception. The center features two championship-style basketball courts used for both intramural and pick-up games. Play-off games for the intramural league are played on these modern courts for both basketball and volleyball. The courts feature permanent spectator seating and hardwood floors. Visit our game lounge and enjoy foosball, air hockey, table tennis (2), and more. Too wet or cold for golf? No worries! Just head over to the center and "tee up" for a round on the golf simulator. The simulator features over 30 interactive courses for up to four players at a time. On your mark, get set, go! 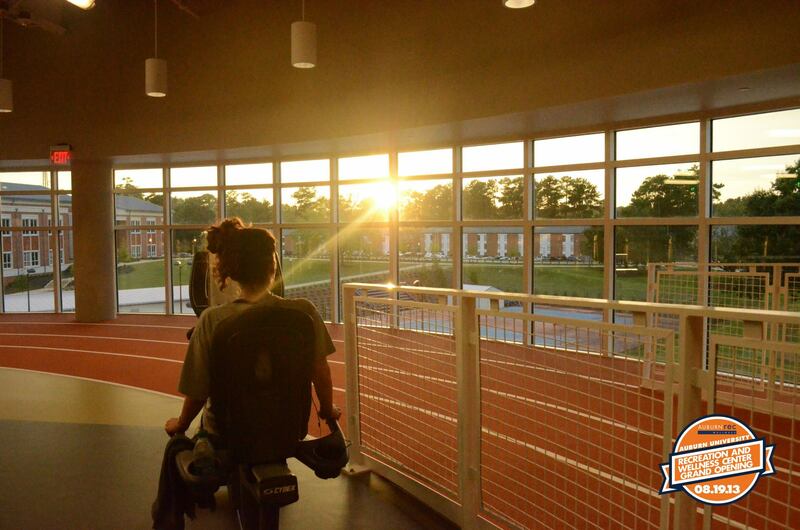 The indoor track provides students, faculty and staff with a 1/3-mile course for walking or jogging. The elevated track has three lanes and is located above the building's Heisman Level. Winding its way through the length of the building, the track provides students multiple options for a tailor-made run. 1 of 2 Multi-Athletic Courts (MAC) located on the bottom floor of the RWC. With 12,000+ square feet of activity space on a unique Mondo floor surface, indoor soccer, basketball, volleyball and almost any sport you can dream up can be played in this room. The room can also have carpet squares put down for large events. The Recreation and Wellness Center features three indoor racquetball courts, one which is equipped to convert to a squash court as needed. Squash is a sport played with a hollow rubber ball and a stringed racquet. There is no net and the court's walls, floor, and ceiling are all fair game as playing surfaces. 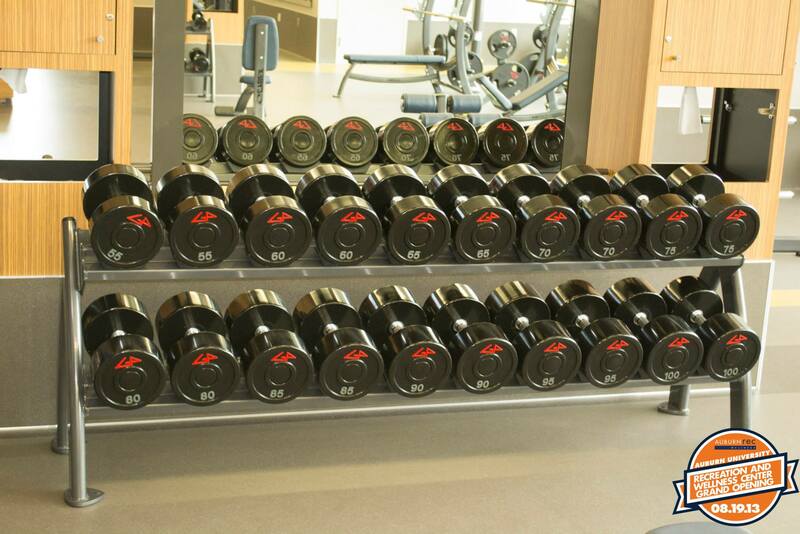 Instead of crowding weights and fitness machines into one room or studio, the center provides an extensive array of free weights, plate-loaded and strength machines on the Heisman level, with a light strength room featuring light dumbbells and easy-to-use machines, on the Mezzanine level.